Capable and thorough financial planning continues to serve as the focus of everything we do at McCormack Financial Planning. Our process compares your current situation with your goals for the future and identifies the steps necessary to achieve them. A comprehensive plan covers every aspect of your financial life: assets, liabilities, and net worth analysis, cash flow, investments, taxes, estate planning, risk management, financial independence planning. Because we care deeply about our client’s goals, values, dreams and aspirations, we explore all financial areas that affect you and your family. 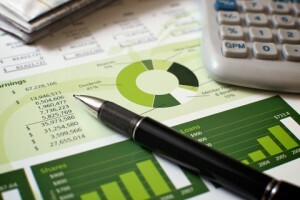 All the details of your finances will be analyzed in a comprehensive review and Plan. The Plan will be a road map guiding us toward achievement of your lifetime and financial objectives. It will be comprehensive, integrated, dynamic and completely responsive to your individual circumstances. The Plan will be a financial expression of your personal vision and is both the foundation and the framework for all financial decisions. Everyone needs a financial plan, but for women it is critical because they have a longer life expectancy. A single women’s income may be less than that of a couple and remains more stable over her lifetime. However, the woman in a relationship who outlives her partner or is divorced, usually loses the partner’s income and is forced to live on less or is not prepared to manage assets after a partner’s death. Start now: Plan for the future, be proactive not reactive. Financial planning is a process, not a one-time event. Your initial financial plan is designed to serve as a baseline to get you going in the right direction. As life “happens”, your financial situation will change and new questions will surely arise. We hope to have a long term relationship and will be here for you well beyond our initial engagement.